Good old fashioned Italian Bread. Very easy dough consistency and a great (vegan) addition to any meal! 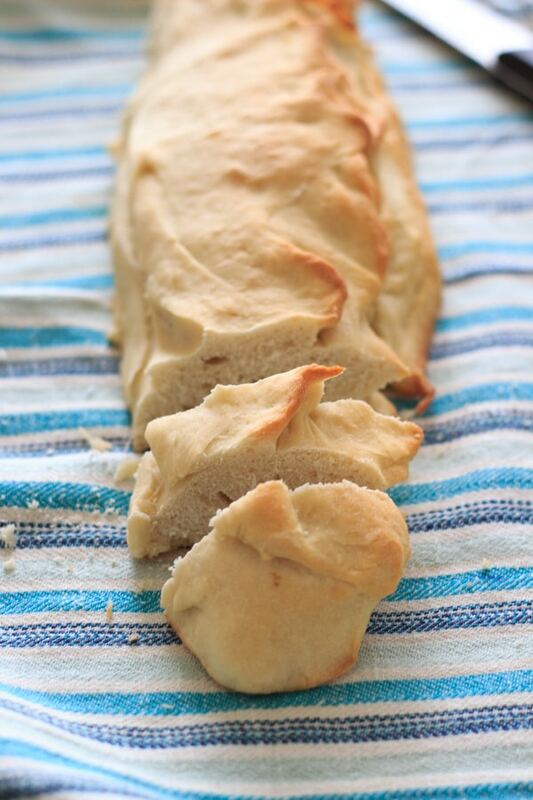 It’s time for a simple bread recipe! It’s been a year since I last posted a dinner bread (rosemary bread, anyone?) which is surprising given the amount of bread I consume on a weekly basis. 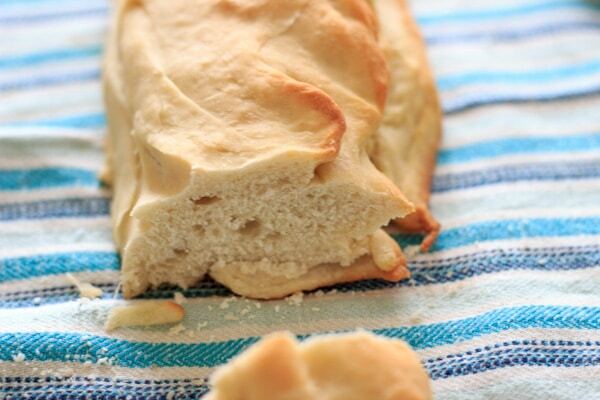 This Italian bread goes great with ziti, soup, or just about any meal. Who doesn’t want bread with dinner? 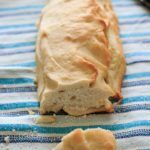 The dough consistency turned out perfectly for me – usually I have to add a bit more flour as I’m kneading to get a smooth loaf, but I didn’t have any problem with this. The dough should be very easy to handle. It actually made me want to knead the dough by hand instead of in the mixer because it was so workable. This recipe makes two loaves – one to share and one to keep? There’s not much else to say about this bread besides the fact that it was delicious! 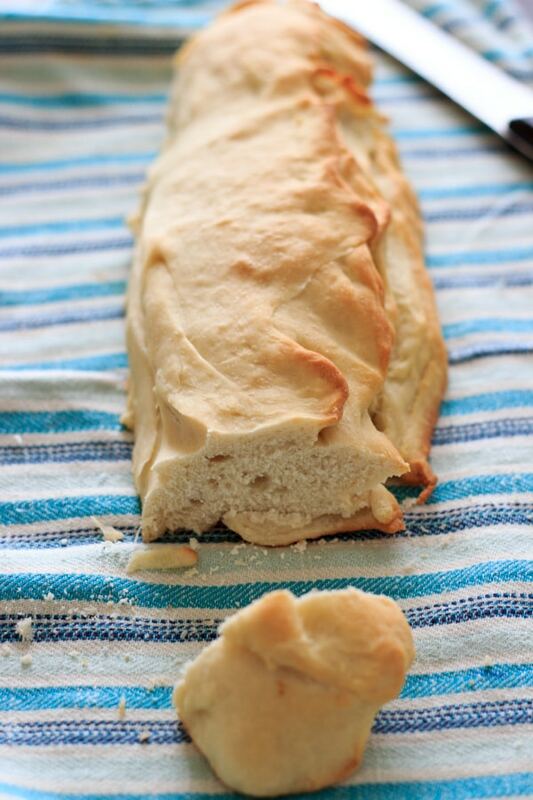 This is a great go-to recipe for all your bread-making needs. In a large mixing bowl, add the yeast, water, and sugar together. Let sit for 5 minutes until it starts to bubble. 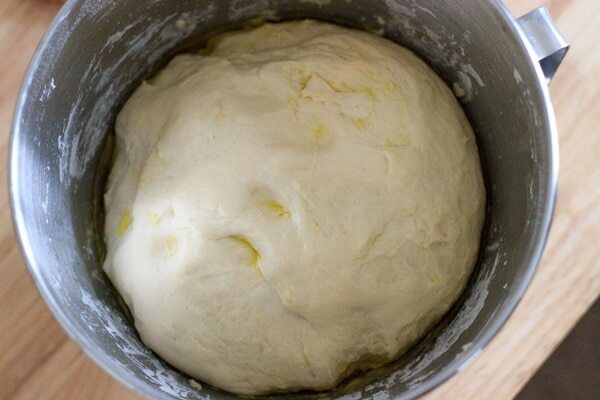 Add salt and gradually add the flour 1 cup at a time, mixing until you are left with a smooth, soft dough. Knead dough for 5 minutes, either with a dough hook on a stand mixer or by hand on a lightly floured surface. Grease the mixing bowl with the olive oil, place the dough back in bowl and flip once so the dough is thoroughly oiled. Cover and let rise for about 1 hour, until doubled. 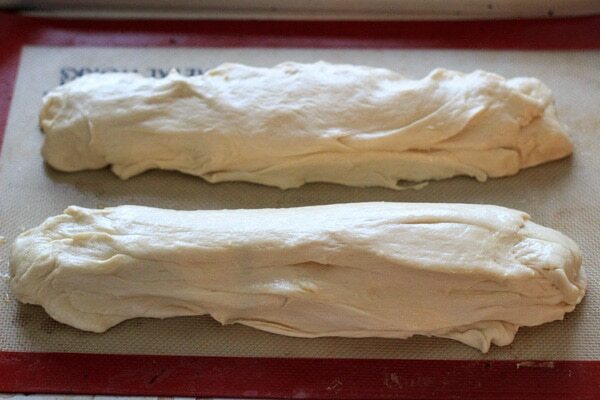 Separate dough into two loaves and place on baking sheet. Let rise again for about 30 minutes. While this is rising again, preheat the oven to 400°F. Bake for 20-25 minutes or until top of loaves are lightly browned. I use the recipe found here and added just a bit of olive oil. There’s nothing better than the smell of fresh baked bread!